SINGAPORE – 20th December 2018 – TECWARE, a global PC gaming peripherals and components provider, announces the availability of the new Haste XL RGB Mouse Mat. 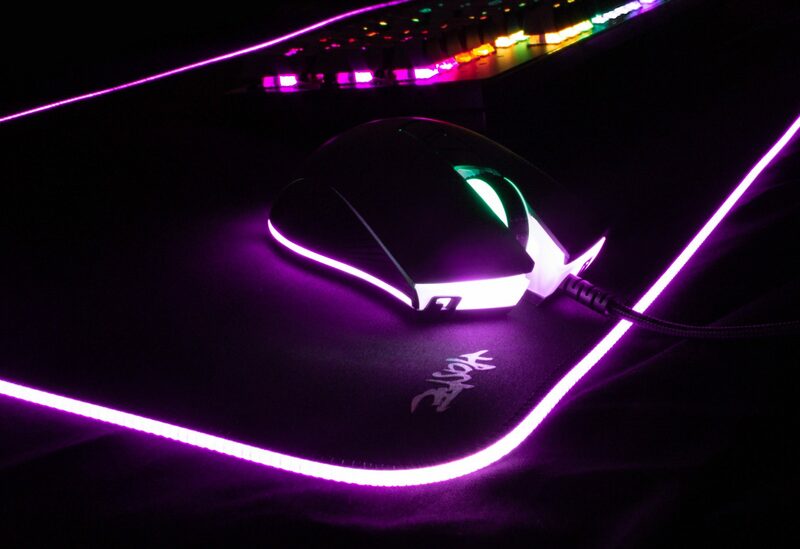 This premium grade soft mouse mat features vibrant RGB illumination along its edges with 10 pre-set lighting effects – selected on-the-fly via a built-in controller. Measuring 800 x 300 x 3mm, the Haste XL RGB can accommodate a full-sized keyboard with ample space for extensive mouse movement. The Haste XL RGB features a high-density surface engineered for precise mouse tracking and a non-slip rubber base for a secure grip. Manufactured with a water-resistant fabric surface, edge-stitching, and a braided cable, the Haste XL RGB Mouse Mat is built to last. Available from late December, through authorized local dealers in Singapore.